Have you ever wondered why you see the ads you see? With over 2.2 billion active users, Facebook has built an empire that's used relentlessly to share media with the world using different devices. To reach and connect these people, businesses and organizations use Facebook Ad's platform to share relevant content and products to those who are most likely be interested in the Facebook family of apps and services. With ever-growing user base, Facebook had a new challenge to tackle which is how to cater personalized advertisements based on random user-generated data every second. As the amount of data increased the advertising team and clients are in need of a new visual tool that can collect data based on keywords and generate visual data points that can easily be interpreted. Advertisers are provided with numerous Facebook AD tools to discover and generate users based on there interests (liking a page or a post). But this process of selecting random users just based on interests has limited the businesses in expanding their presence. 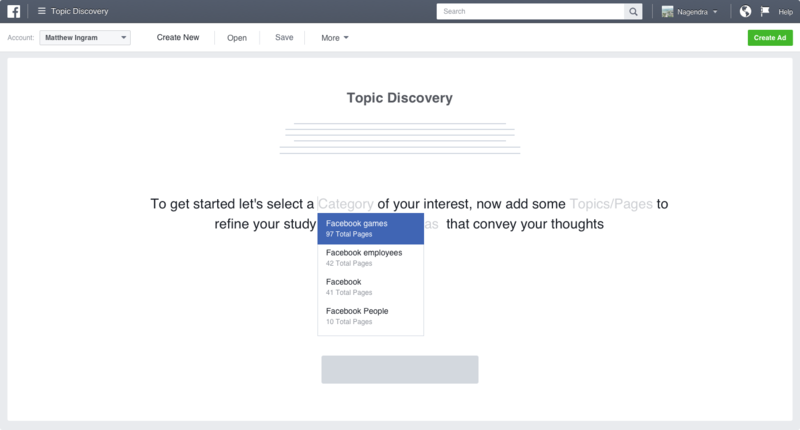 By introducing topic-based discovery, advertisers can use data from what people are saying/sharing about events, brands, subjects, and activities and make better decisions to market across Facebook app family. 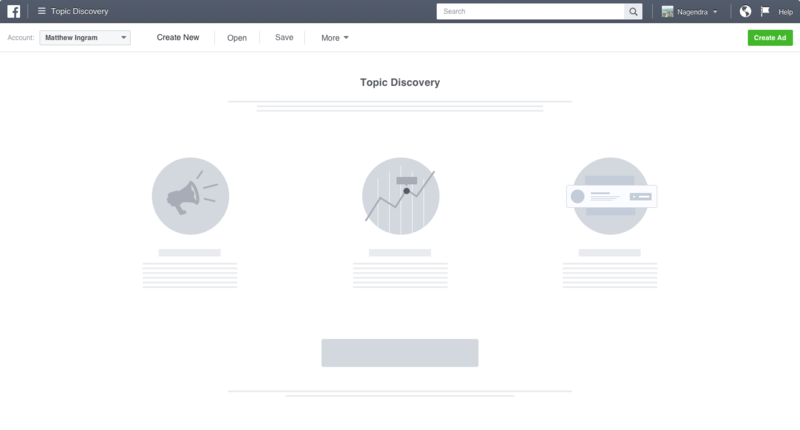 Discovering topics across 2.2 billion active users on Facebook, marketers were in need of a tool that can easily be used and understood. Within one week of my internship I have worked with three AD teams to understand marketers/advertisers to create different flows ranging from context, news feed, images, posts, pages and activity (like, share and comment). To generate relevant topics based on the relationship between data sets is achieved through comparing the first data set to the second using "or" "and" relation to a provide final data set that is relevant and useful out of billions of activities. With access to data sets based on real users activities comes with a great deal of privacy concerns. The AD's team did an excellent job in safe guarding the users data within the company and while sharing it with the marketers using strict guidelines on what can be accessed and how it is accessed. During my four months stay at Facebook HQ, Menlo Park, the company, and my team have provided numerous opportunities to learn and grow through design, coding, team building and hackathons. With access to data sets based on real users activities comes with a lot of privacy concerns. 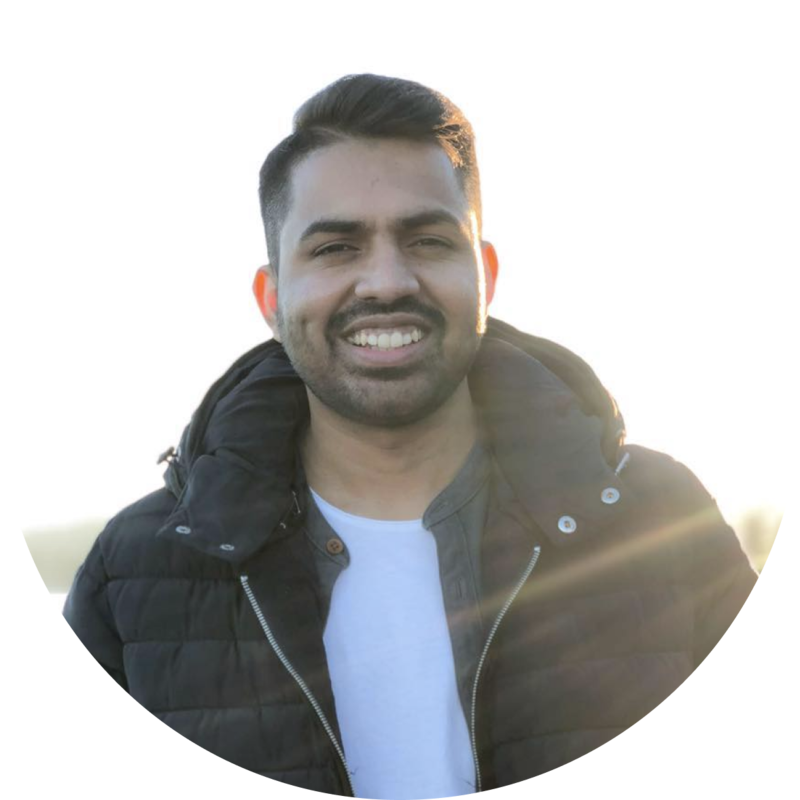 The AD's team did an excellent job in safe guarding the user's data within the company and while sharing it with the marketers using strict guidelines on what can be accessed and how it is accessed.